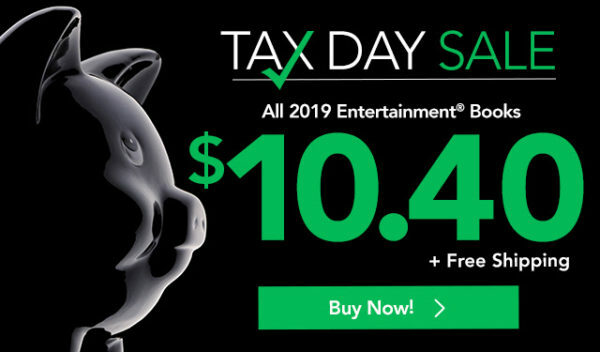 Entertainment.com is getting in on the Tax Day deals, too! Right now all editions of the 2019 Entertainment Book are priced at $10.40 + FREE shipping, no coupon code necessary! Plus, there are books available across the nation, so consider ordering a second one to use when you go on vacation. Head to Entertainment.com to get yours! Offer ends at 9 am EST on 4/17/19. PS – Don’t forget to check out the other Tax Day Freebies & Offers 2019 that are available!